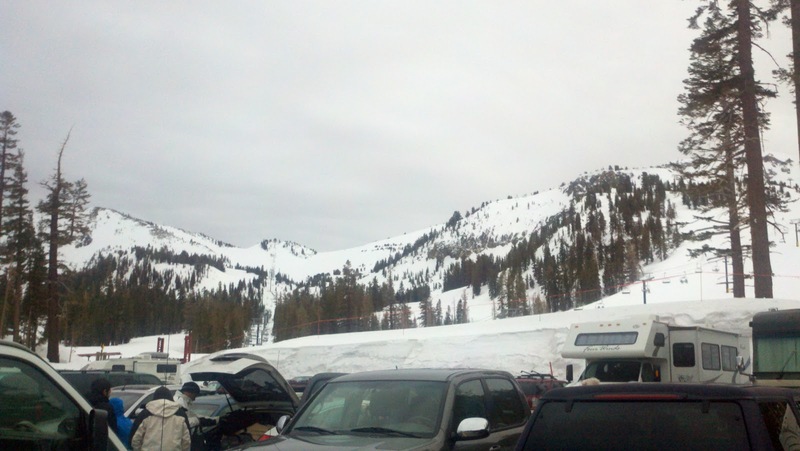 I've taken another weekend for a "snowboarding retreat" at Mammoth Mountain. So as you can guess, blogging isn't really high up on the list. But, true to my geek form, I do have something to share. I was asked about setting the default dimension styles recently. Basically, how do I set my default dimension style? 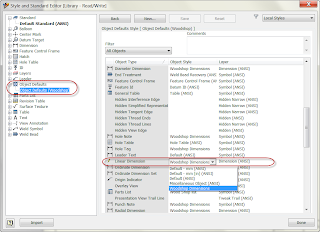 So here's a quick tip on how to set up your default dimension standards. 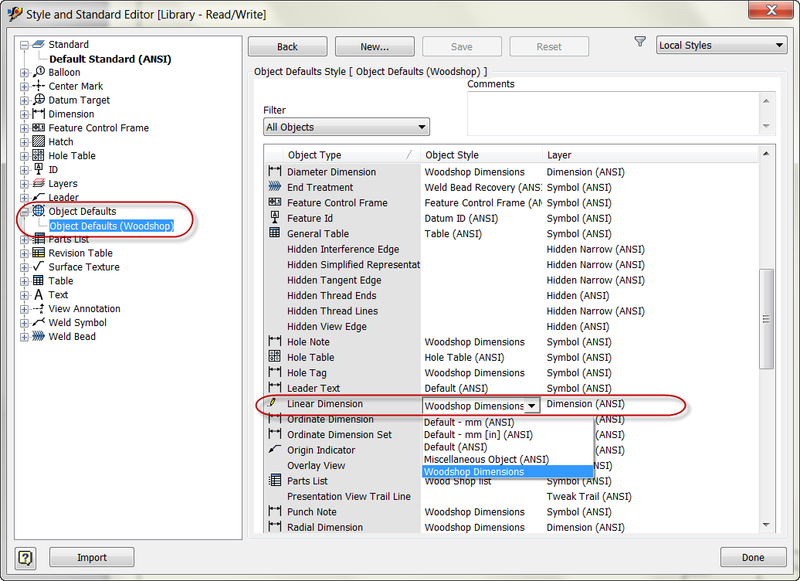 To set default dimension styles for your drawings, go to Tools>Format Standards. 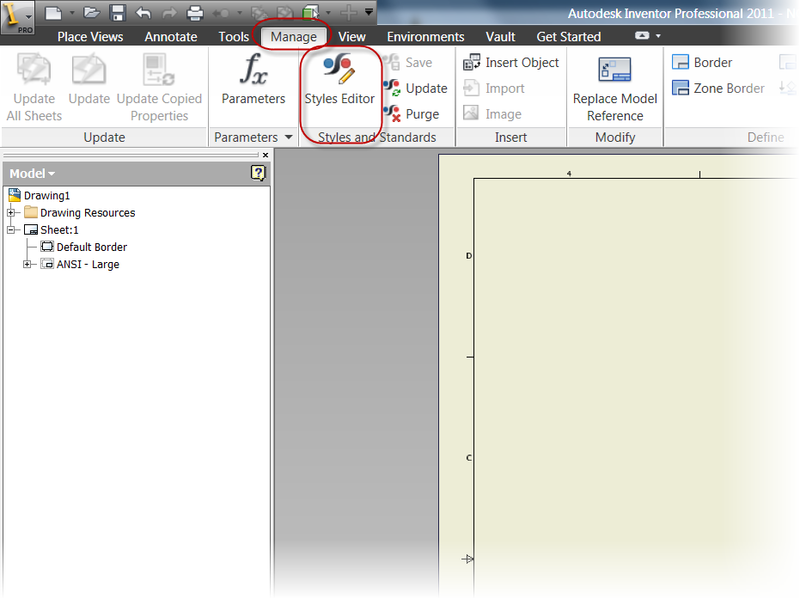 Once the Standard and Style Library Editor pops up, select Object Defaults. Now you can select each dimension type, and set the default dimension style for each. Notice that you'll have to set the default dimension style for linear, angular, radial, and so on. It's very flexible, but you'll need to make sure you get all the styles you want to change. Also, notice that dimension styles aren't the only thing you can set here. 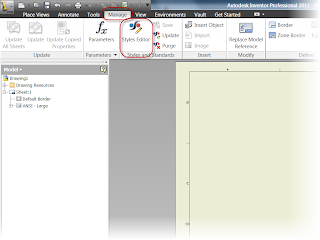 You can set everything from text styles, to table styles, to default layers. It's worth some time to take a look at it. Getting your defaults set correctly can save a lot of time and headache.